Earthquake measuring 5.6 degrees in the east coast of Crete felt in parts of Israel. No injuries or damages reported. 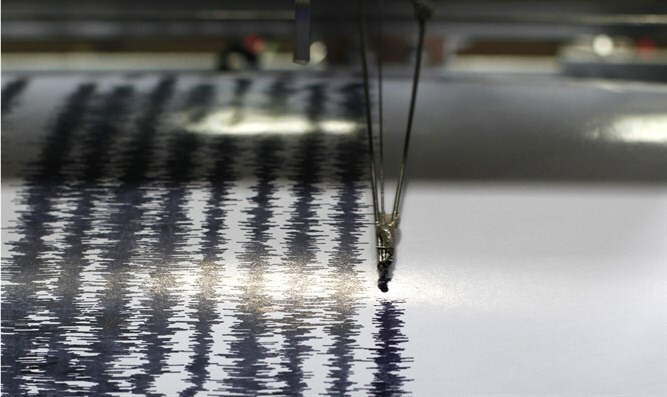 An earthquake measuring 5.6 degrees on the Richter scale which hit the east coast of Crete on Wednesday evening was also felt in parts of Israel. The epicenter of the earthquake was 52 kilometers (32 miles) below sea level. There were no reports of injuries or damages in either Crete or Israel. In November, an earthquake measuring 3.6 on the Richter scale which struck southern Lebanon was also felt in northern Israel, in cities such as Tzfat and Kiryat Shmona. There were no reports of injuries or damage in either Lebanon or Israel. Six months before that, a 4.8-magnitude earthquake which was centered in the Sinai Peninsula was also felt in the resort city of Eilat. In this earthquake, as well, there were no reports of injuries or damage. In April of 2016, a small earthquake was felt in the Dead Sea and Arad, but it was so weak that the Geophysical Institute could not measure it.